David Royce takes us inside the world of art glass and shows us that it takes a lot more than breath to craft his colorful creations. David Royce takes us inside the world of art glass and shows us that it takes a lot more than breath to craft his colorful creations. ARTIST BIO Foci Glass studio exhibitor and sculptor extraordinaire David Royce wowed the MN Original crew with his original designs. His passion for blowing glass began at the young age of 15 at the Island Glass Studios in NE Minneapolis. He has done projects for Cue Restaurant at the Guthrie Theater and Target. 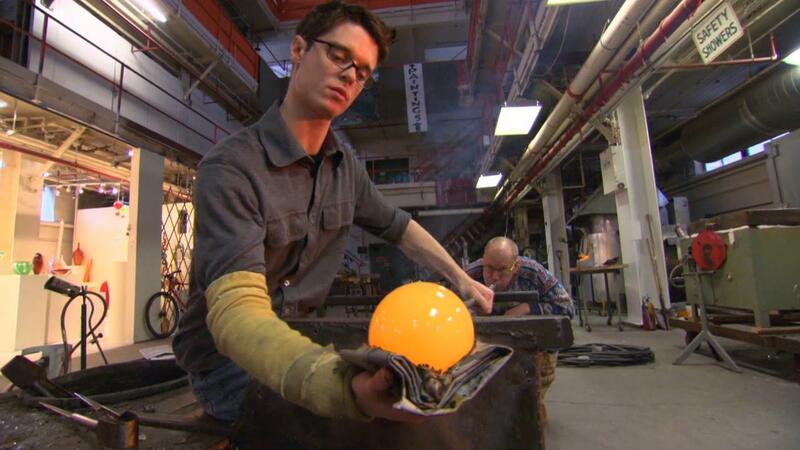 He attended the University of Wisconsin River Falls and now makes his living through the art of glass blowing. David Royce takes us inside the world of art glass.